To get to know the real Winston Churchill, we've delved into our records to bring you the key moments from his remarkable life. 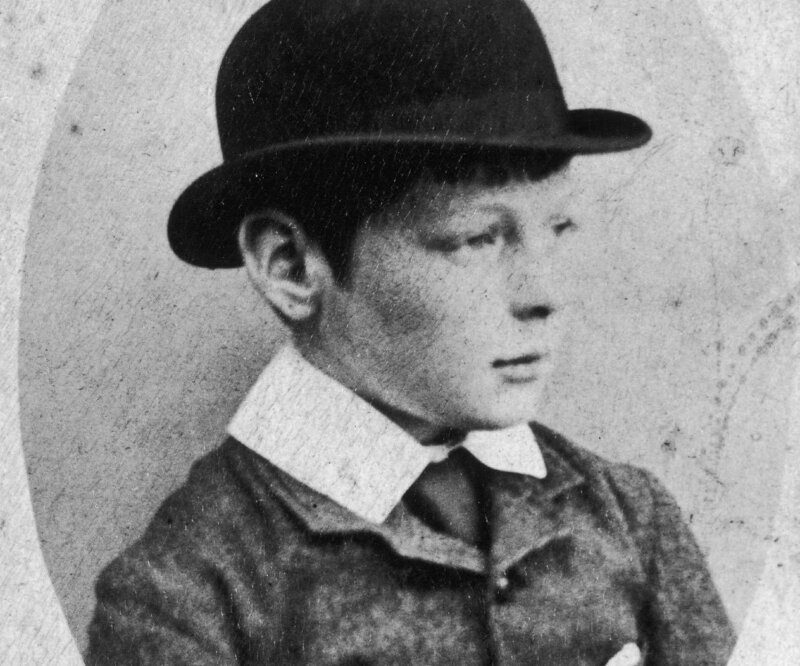 Winston Leonard Spencer-Churchill was born to Jennie Jerome and Lord Randolph Henry Spencer-Churchill at Blenheim Palace on 30 November, 1874. 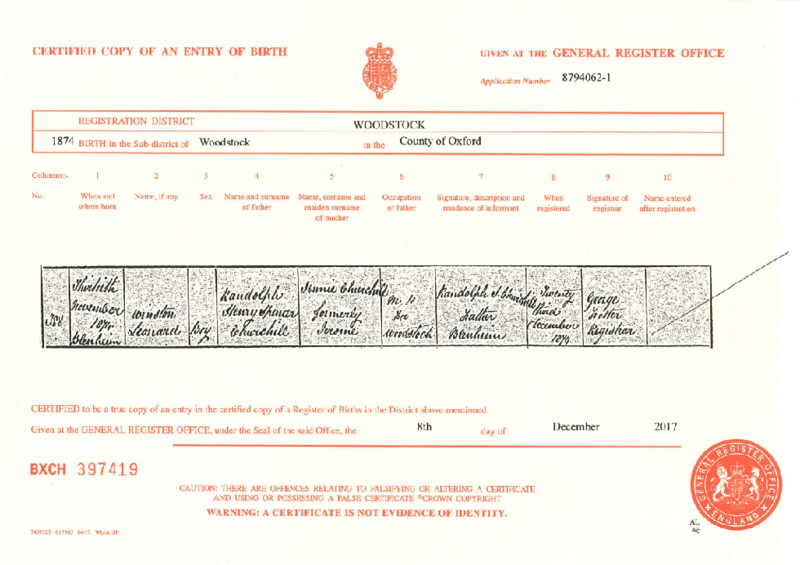 His birth record was registered in the district of Woodstock, Oxfordshire. 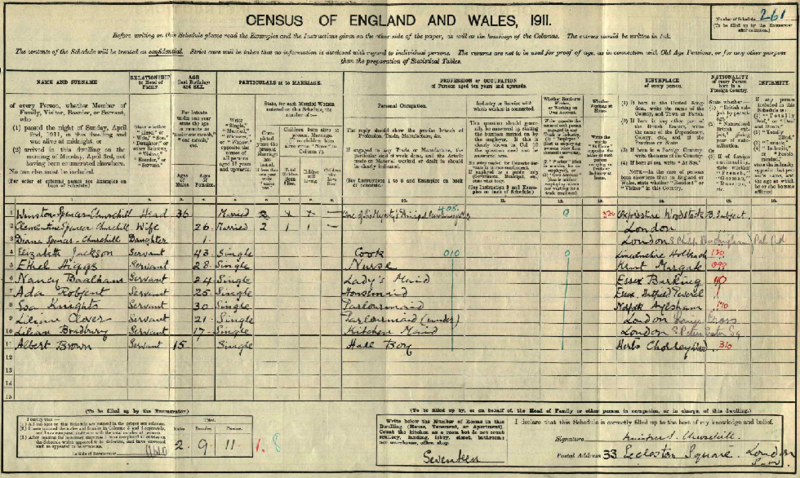 You can track Churchill's formative years in the 1881 and 1891 UK census records on Findmypast, where his family is listed alongside their numerous staff members. You'll also find mention of Churchill's childhood in our registers for Harrow School. Interestingly, his school records reveal a talent for fencing. After graduating from Sandhurst Military Academy in 1894, Churchill served as a second lieutenant in the Fourth Hussars regiment of the British Army. You'll find several records of his time in the Hussars in our British Army Lists 1839-1946. His time in the British Army saw him visit Cuba, India, Sudan and South Africa. By 1899, his various military escapades gained him quite the fame back in Britain, which eventually saw him elected to parliament in 1900. 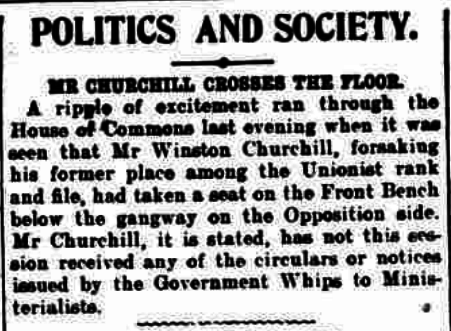 In 1904, Churchill controversially crossed the parliament floor from his Conservative Party to the Liberals. This is documented in our historical newspapers, as seen below in an excerpt taken from a contemporary report of this extraordinary act. As his notoriety grew, Churchill popped up in the newspapers more and more frequently from the early 1900s onwards. Explore the vast collection for yourself and see what you can unearth about him. Winston Churchill married Clementine Ogilvy Hozier in 1908. Their marriage record features in our exclusive Westminster Collection and is rich in detail. 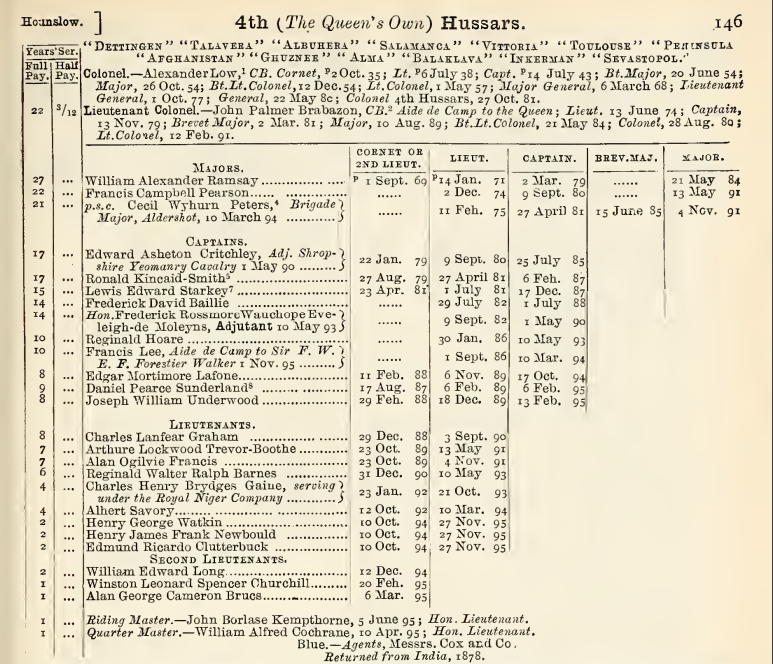 It reveals the couple's ages, occupations (Churchill is recorded as the President of the Board of Trade), addresses, father's names and their occupations. Their first child, Diana was born the following year. They would go on to have four more - Randolph, Sarah, Marigold and Mary. The family are listed living at Eccleston Square in the 1911 Census, where Churchill's occupation is recorded as, 'One Of His Majesty's Principal Secretaries Of State'. At the outbreak of the Second World War, Churchill was First Lord of the Admiralty. You can view his complete household record in the 1939 Register for free here. Neville Chamberlain resigned as Prime Minister in 1940 and Churchill stepped in, making his famous 'Finest Hour' speech. You can find some fascinating, contemporary reports of that in our historic newspaper collection. Below is a recording of the speech in full. Stirring stuff if you have a spare half hour to listen to it. 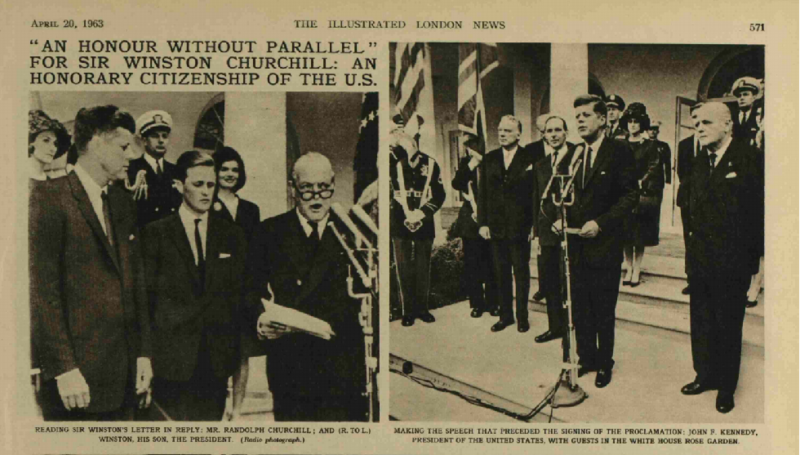 Churchill's years after the Second World War ended are documented on Findmypast through numerous resources including passenger lists and records and newspaper reports of his various accolades including his knighthood, his Nobel Prize for literature and his honorary citizenship of the United States, a recognition he was the first person in history to receive. After suffering his second major stroke, Winston Churchill died on 24 January 1965 aged 90. His state funeral was the largest in history up to that point, with representatives from 112 countries present. That's Churchill's life in the records. Start your family tree today and discover what our records can tell you about your Britishand Irish ancestors.